Groin pain is a common sporting injury in high speed running, change of direction or jumping and landing sports. The musculature is complicated with highly stressed anchor points and the involvement of pelvis joints plus your lumbosacral spine. These injuries can cause a tendinopathy such as adductor tendinopathy. The joints most likely involved in groin pain include your pubic symphysis, sacroiliac joints, hip joints and your low lumbar spine. One example of excessive stress occurring through your pubic symphysis is osteitis pubis. Femoroacetabular impingement is a bone impact condition that requires careful management to avoid surgery. 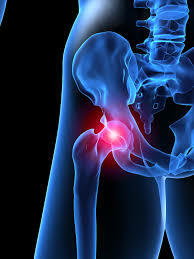 Hip arthritis or a hip labral tear can also cause deep groin pain. Stress fracture can also occur affecting either your pelvis or femur. What Causes Common Groin Injuries? Groin pain occurs frequently in sports involving twisting and turning and kicking as the various football codes. The most common cause of groin pain is muscle, tendon or ligament strain, particularly in athletes. Less commonly, a bone injury or fracture, a hernia, or even kidney stones may cause groin pain. Appropriate treatment and respect for the conditions that cause pain in the groin generally lead to a rapid functional recovery. Attempting to ignore symptoms or rush return back to daily program can lead to longstanding groin pain.